10% Off MUJI Storage Just for YOU! The code in question is online and exclusive to muji.eu until 4th March and can be used against anything you like (bar the beds and CD players) and there's no minimum spend - simply enter MUJI10 at the checkout. My recommendations? The two-drawer wide stack, either with a solid lid or the flip-top - that one is sat highest on my stack for easy product access - in total I have a 3-piece build which houses the majority of my makeup stash, but the overflow in my desk drawers below is organised with the PP baskets or vanity boxes that come in all shapes and sizes, and can fit snug in their travel case too. By my bedside sits their Aroma Diffuser which mists out a cool, dry steam that essential oils can be added to for an all-round at-home, spa-like experience, and whilst we're talking all things scents, they have a pretty awesome candle choice and all. Crieeeess, I wish I could take advantage of this code! Alas, I do not live in Europe. 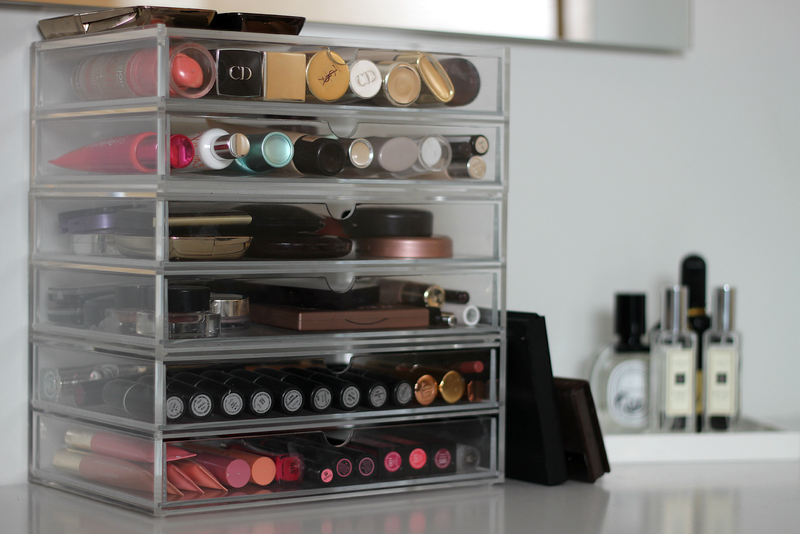 I do have one two drawer set I bought overseas though (and smuggled over heh) and I love it to bits! I was actually planing to pick up two more drawers so this is just perfect! I need a few of these, my collection is getting to big! !